As opposed to a 30 day eviction period several years ago, this process now take about 45 days and is expected to stretch further to 60 days. Why is it taking longer? The reason behind this prolonged eviction period is the reduced number of courthouses hearing eviction cases in order to tackle the $60 million to $80 million budget fall. The Los Angeles County Superior Court implemented this cut down on March 18, 2013. The downsizing that ensued from this cut down has shrunk the 25 to a 5-court hub system in the L.A. County. 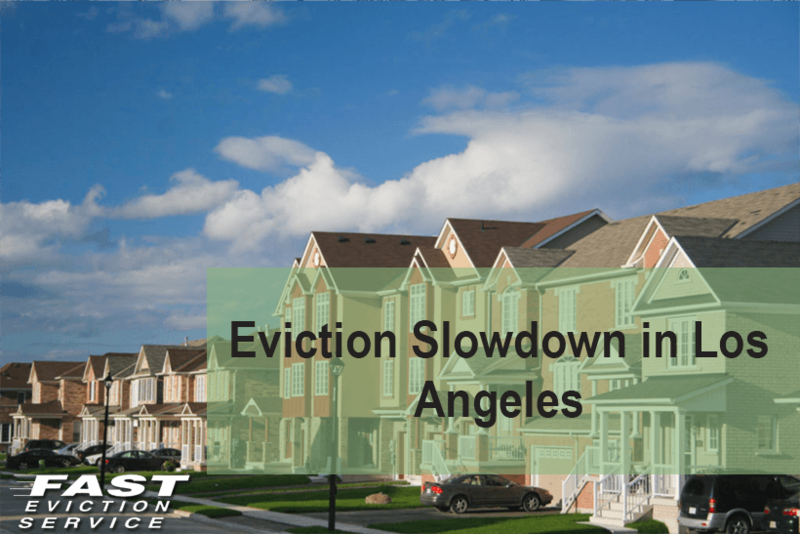 All the eviction cases will now be heard in Pasadena, Santa Monica, Long Beach, Lancaster and downtown Los Angeles. As per court officials, the plan has been to generate substantial savings from lay-offs. Closure of 10 regional courthouses is also expected to assist in cost cutting. As a landlord, you should expect long lines at filing windows and longer eviction period. As a tenant, one might have to endure long trips to get to the nearest court house. Under California law, a tenant must file a written response to a lawsuit from his landlord within five days. Failure to do so or inability to appear in court will result in a judgment in landlord’s favor.